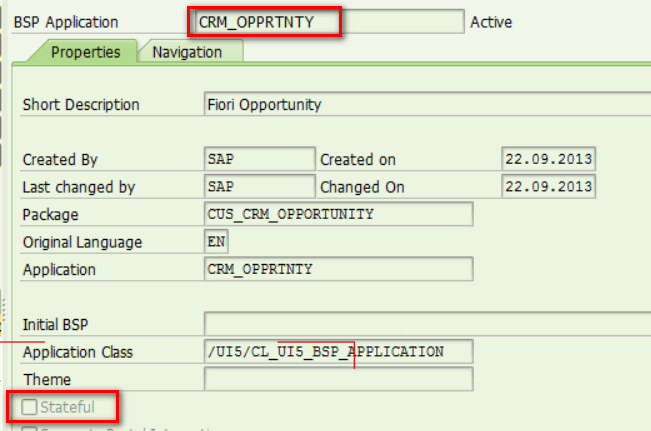 Fiori and CRM WebClient UI – Stateless and Stateful, but how? As is almost known to us all, Fiori ( at least deployed in Netweaver having ABAP as backend ) has stateless behavior and CRM WebClient UI is a set of stateful application. Physically both are running on ABAP Netweaver using ABAP BSP application. How are this different behavior implemented? 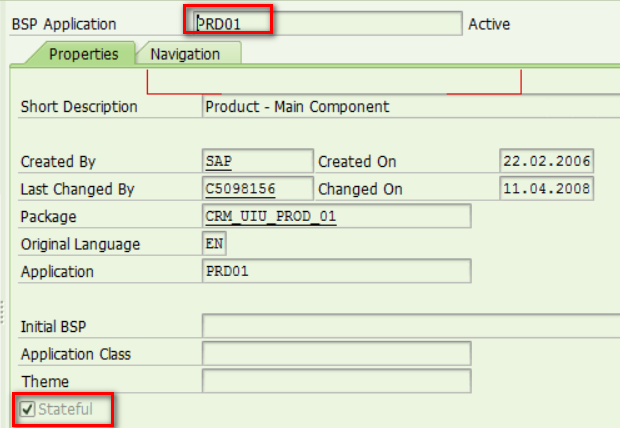 There are documentation in SAP help about stateful and stateless BSP application. In the stateless case, the context is created each time that a request is received. The context is always destroyed when the response is sent. In the stateful case, the context is held by gone request to the next. As a Fiori/CRM Webclient UI developer, the above mentioned difference is taken care by framework and completely transparent to me. The only point I need to be careful is that when I am developing service in the backend for stateful application, I can consider introducing some session buffer for performance improvement which will not work in stateless scenario. Nevertheless I am still curious how framework treats these two kinds of application differently. PRD01 is a CRM Webclient UI component which I am responsible for. In SE80 the checkbox “Stateful” is marked as true. CRM_OPPRTNTY is for CRM Fiori application “My Opportunity”, where “Stateful” is false. 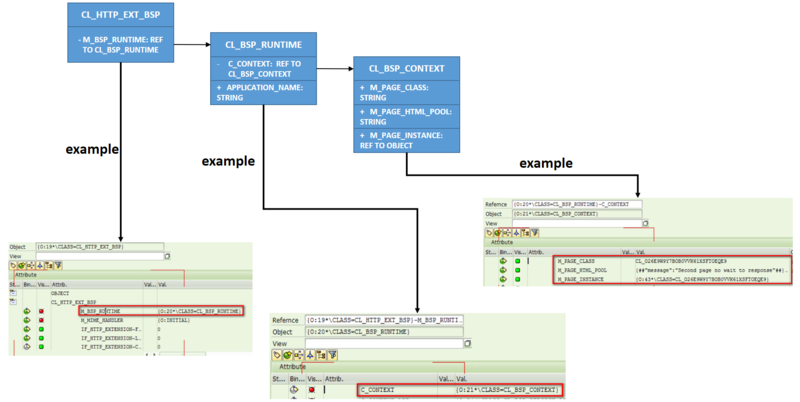 How does ABAP HTTP framework treat this flag set in BSP application? The stateful related evaluation and handling are involved in the following framework process steps. The buffer is maintained in internal table http_ext_instances of CL_HTTP_SERVER. 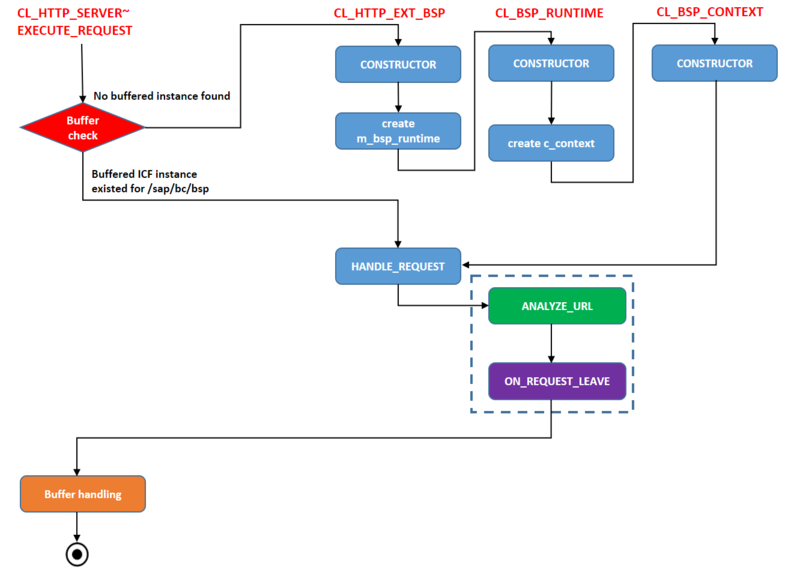 The instantiation of CL_HTTP_EXT_BSP will call CONSTRUCTOR of CL_BSP_RUNTIME and CL_BSP_CONTEXT, as displayed in the diagram. Once BSP handler CL_HTTP_EXT_BSP is initialized, its method HANDLE_REQUEST is called. Inside this method, method ANALYZE_URL ( green block in diagram ) of CL_BSP_RUNTIME is called to evaluate the accessed BSP application is stateful or stateless. Notice that before method ON_REQUEST_LEAVE is entered, its field KEEP_CONTEXT has value 1, which is consistent as what SAP help mentions. In ON_REQUEST_LEAVE ( purple in diagram ), since keep_context is and server->stateful is 0 ( default value ), so IF branch starting from line 42 is executed. Here cookie field sap-contextid is set, and server->stateful is set as 1. This flag will be evaluated in the last step. 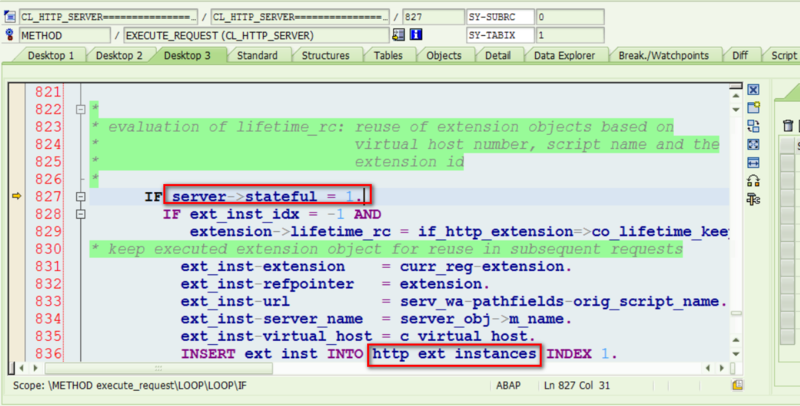 If flag server->stateful set in previous step has value 1, currently instance of CL_HTTP_EXT_BSP is buffered. So far we have gone through all branches in my diagram. So far this blog discusses the difference of Stateful and Stateless handling done in server side. For different behavior in client side, please refer to this blog: Stateless and Stateful – Different behavior in application side.